Haulover Plantation is hidden in the wildness of Middle Caicos. 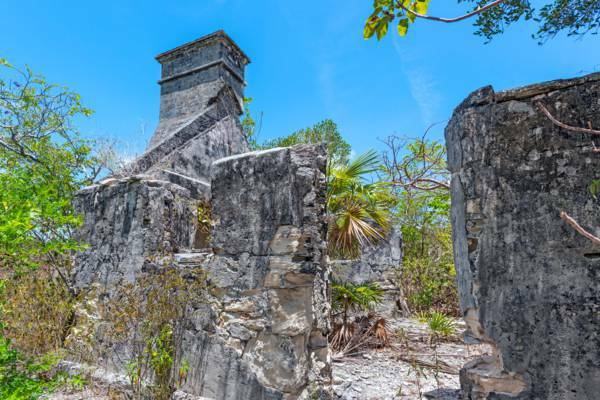 Haulover Plantation is a remote and largely overgrown plantation ruin. Most casual visitors probably won’t find the long drive and trek through the sun worth it. If you decide to visit, bring plenty to drink. If you like exploring and finding sites that are off the beaten path, you'll probably find this place to be fascinating. Found two miles north down a dusty road from the tiny settlement of Lorimers on Middle Caicos are the ruins of Haulover Plantation. Founded by British Military Doctor John Lorimer in 1791, this plantation mainly produced cotton, but experiments with sisal were also carried out. When granted to Dr. John Lorimer, the land that became Haulover Plantation originally consisted of 504 acres. However, the plantation was expanded when it was taken over by Wade Stubbs of Wade's Green Plantation at the time of Dr. John Lorimers death. The eastern side of Middle Caicos where Haulover Plantation is located was the center of the cotton industry in the Turks and Caicos and the area was initially quite successful. A variety of cotton referred to as Sea Isle Cotton was the crop of choice, and it’s though that this plant was introduced to the archipelago by the Taino natives that inhabited the islands before the arrival of Columbus. By the mid 1800s, infestations of the boll weevil and soil depletion unfortunately put an end to the boom days. Today, only field walls, partial buildings, an interesting open well, and most prominently, the kitchen, remain of Haulover Plantation. There’s not as much to see at this plantation as compared with Wades Green Plantation on North Caicos, but it’s worth a visit for the adventurer or history buff. Foundation of the Main House. Haulover Plantation is located quite a distance away from the other attractions and settlements on Middle Caicos, so be sure to bring plenty of drinking water as the closest shop is miles away. 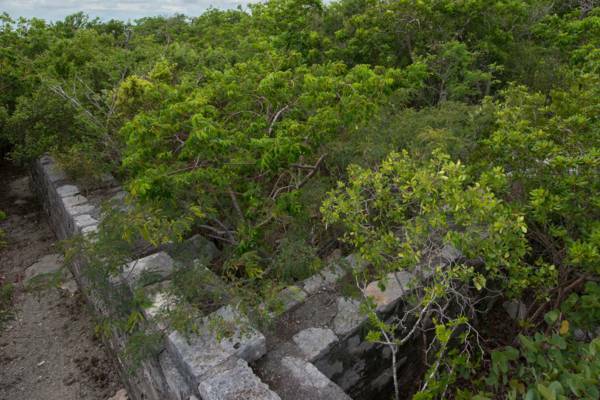 A 1500 foot unsurfaced walking path leads from the road through the bushy vegetation to the main plantation ruins. To get to Haulover Plantation, follow the paved road from the village of Bambarra towards Lorimers. Turn left onto the unpaved road directly before the village of Lorimers and continue for about 1.8 miles. A small sign and the start of the walking path will be on your left. Haulover Plantation is a protected historical site. It is illegal to steal, vandalize or damage any artifact or structure. 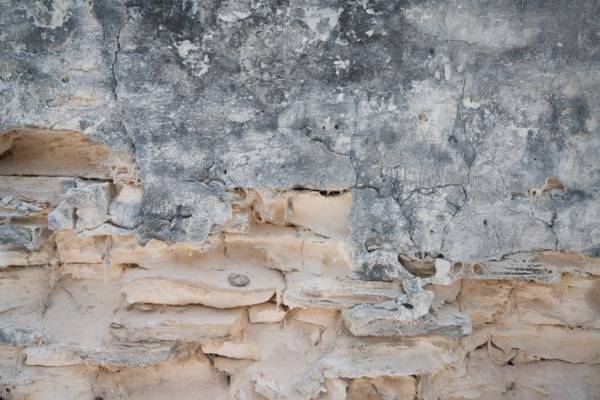 Nearly all of the natural stone found in the Turks and Caicos is soft limestone, which in some cases disintegrates comparatively rapidly. The upper half of the wall in this image is still protected by the original plaster made from burnt and crushed conch shells.